Our vehicle GPS tracker includes geo zones capability. A geo-zone is a perimeter created by the user that can an as small as a house or as big as a country. An alert will be created once the driver goes in or out (both) of this zone. Get an alert via email, text, or both. 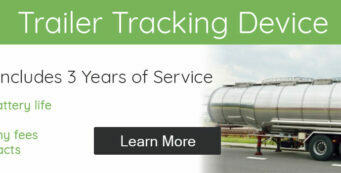 This is a vehicle tracking system feature that can assist in many ways. This geo-fence can alert you if the customer goes out of a area such as the State or even the Country. Maybe a vehicle is in repo and never leaves the garage. 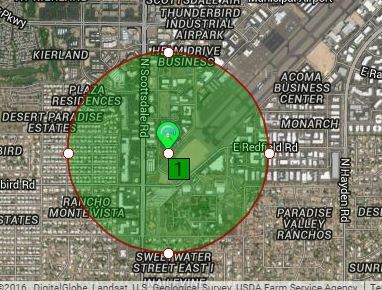 Set a geo-zones and get alerted the moment it exits that area. Geo zones are typically used by auto dealers and rental car companies. These businesses sometimes have established a mileage radius the customer agrees to stay within. If this area gets exited, the user will get alerted. Most rental companies require the renter to stay within a determined perimeter. This tracking gps feature is always tracking and ready to send geo fences alerts. A geo-fence can also assist users when trying to recover an asset. Sometimes the vehicle might be in an area that isn’t accessible. Typically this is businesses, homes with guard gates, and reservations. A geo-zone can be created so an alert will be sent to the repo agent and user when it exists this area. A sub-account can be created for a repo company so they get alerted direct when the vehicle hits a geo-zone. 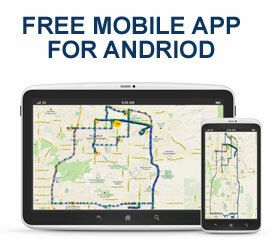 For vehicle financing or rental car companies, a car GPS tracker is an incredible tool. Our GPS tracking system also have thousands of impound lots geo zoned across the US. If a vehicle gets impounded into one of those geo zones, an alert will be sent to the user. Most dealers have dealt with impounds. They are nightmares. The impound lot will charge a tow fee plus daily impound fees. Vehicles that have a GPS tracker on them is more likely to get recovered. 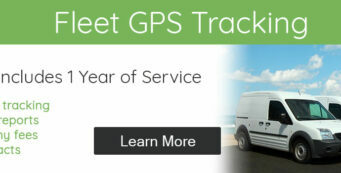 GPS and Track offers vehicle tracking units with a backup battery. This is a terrific added feature to assure you assets are protected.